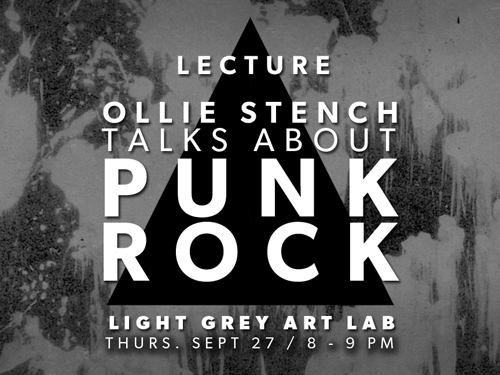 A while back we had Ollie Stench visit Light Grey Art Lab and give a lecture called Ollie Stench Talks About Punk Rock. It was a great conversation about how he personally defines Punk Rock as a movement, the culture and worldview that created it, and how it has changed the world since. We recorded the audio, and we're finally* ready to let you listen! Ollie is an awesome guy and fun to listen to, so we're looking for opportunities to bring him back in the future! If there's something you'd like to hear Ollie talk about, let us know! Incase you missed it before, here's the Download! *Sorry it took so long, it's all my fault. It is so nice to join into the lectures. It brings me a lot of new things.